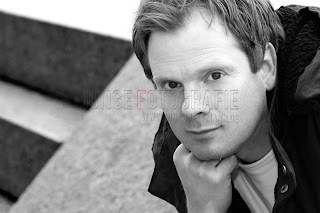 A little while ago I had the pleasure to have the author Thorsten Dörp in front of the camera. A really great shoot, we had a lot of fun and even the weather was nice, even if it was still quite cold! His first novel "Wegen Julia" has been published in March 2009 and now he finally presents it at the Thalia bookstore (Quarree Hamburg-Wandsbek) in the time from 11:00 h - 17: 00 h at the 3rd of July 2010.